In 2005, the Reverend Dr Nicholas Sagovsky visited St. Mark’s National Theological Centre in Canberra for the several days. He was Canon Theologian at Westminster Abbey and Visiting Professor in Theology and Public Life at Liverpool Hope University College. He had been a member of the Anglican-Roman Catholic International Commission (ARCIC) for ten years and had written widely on ecumenism and on issues in public life. 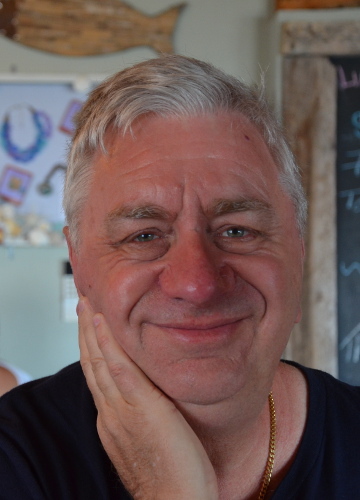 His most recent book is Ecumenism, Christian origins and the practice of communion (Cambridge: Cambridge University Press, 2000) and he is currently working on a study of ‘Christian tradition and the Practice of Justice’. At St. Mark’s, Dr Sagovsky gave a seminar on the Anglican-Roman Catholic International Commission (ARCIC) ‘agreed statement’, Mary: Grace and Hope in Christ, the full text of which is available online here and here. Dr Sagovsky spoke for about an hour and then fielded comments and questions for nearly four hours (with a lunch break in the middle). It was a fascinating discussion. Dr Sagovsky’s quiet, finely argued, yet humble responses to our thoughts were delightful. It was a privilege to participate in the ARCIC discussions, at just one remove so-to-speak. I listened with interest as Dr Sagovsky told us his own experience with Mary. At the time of ARCIC beginning its work on Mary, he could not contemplate addressing any prayer to the saints. But now he finds icons such as those of the Virgin and Child to be helpful in devotions and is glad to be able to pray the “Hail Mary”. I am not quite at that point (yet) but I truly respect the carefulness and sincerity of those who are. Mary: grace and hope in Christ helps us to see that this a matter of God-given diversity rather than a dogmatic requirement one way or the other. There will be plenty of discussion on Mary: grace and hope in Christ, and I cannot add to it here. The Vatican has already published a substantial commentary by Jared Wicks SJ. There will be many more such, no doubt. In passing, Dr Sagovsky mentioned the somewhat similar work about Mary (using French rather than English) of the Groupe des Dombes. I found very little about it in English, so I though it worth posting something here. Created in France in 1937 by Abbot Paul Couturier, the Groupe des Dombes (Dombes Group) continues in dialogue and ecumenical research. The Group still bears the name of the Abbey of Notre Dame des Dombes (near Lyon) where for a long time it held its autumn meetings. It consists of forty people, Catholic, Lutheran and Reformed. Its non-official character allows it the freedom to confront the respective positions of the participants’ churches on questions that are obstacles to Christian unity. Since not long after the conclusion of its work on Mary, the group has included men and women. Was this a miracle due to the Blessed Virgin? The group has issued a number of publications. On its 50th anniversary, it published Pour la communion des Eglises [=’For the communion of the churches’] (Centurion, 1987) containing the principal texts on which it had agreed in the years 1956 to 1970. Le ministère de communion dans l’Eglise universelle [‘=The ministry of communion in the universal church’] (1986). In 1991 the group published Pour la conversion des Eglises. Identité et changement dans la dynamique de la communion (Presses Centurion), which has also appeared in English as For the Conversion of the Churches (World Council of Churches, 1993). 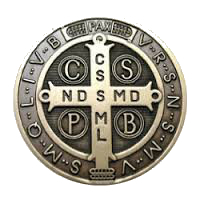 The Group’s most recent work is Un seul maître : L’autorité doctrinale dans l’Eglise [‘=A single master: doctrinal authority in the church’] (Bayard, 2005). 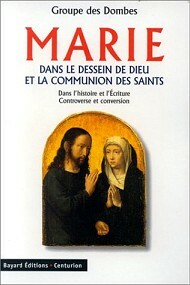 The Group’s work at its annual sessions from 1991 to 1997 was dedicated to a shared reflection on Mary in the plan of God and the communion of saints, culminating in a two part part publication: Une lecture oecuménique de l’Histoire et de l’Ecriture[=’An ecumenical reading of history and Scripture’] (Centurion, 1997) and Marie dans le Dessien de Dieu [=’Mary in the plan of God’] (Bayard, 1999) – both republished as Marie dans le Dessien de Dieu en 1 volume (Bayard, 2001). 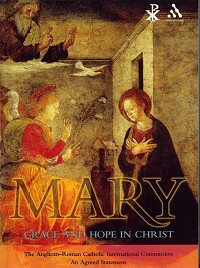 The work is also available in English as Mary in the Plan of God and in the Communion of Saint Toward a Common Christian Understanding (Paulist Pr., 2002). To advance the discussion, the Dombes Group employs two principle justification by grace through faith, a central principle for Protestants, and the ‘hierarchy of truths, principle of Vatican II. The first allowed a substantial agreement on the ‘co-operation’ of Mary in the work of salvation: she intervenes not on the side of the Saviour, but of the saved. The second principle, which avoids placing all statements of faith on the same level, excludes Marian faith and piety as decisive tests of adherence to Christian faith. Although the Roman Church regards them as integral to its faith, the Dombes Group does not find the two dogmas of the Immaculate Conception and the Assumption to be an insuperable obstacles to unity. They are a creation, in effect, of the post-separation Roman church and Protestants should not be required formally to adhere to them. 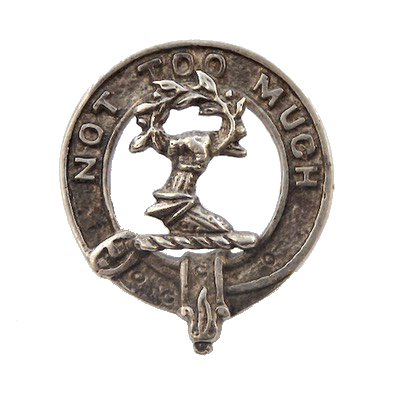 On the other hand, Protestants should accept their catholic brothers’ and sisters’ regard for these teachings as dogmas of faith, and accept that they are not contrary to the Gospel. Alain Blancy “Marie et la Reforme: les protestants et le document du Groupe des Dombes [=’Mary and the Reformation: Protestants and the Dombes Group document on Mary’]. Nouvelle Revue Théologique, 121(1):23-40, 1999. Joseph Fameree. “Mary in God’s Plan and among the Saints.” Theology Digest 47(3):244-252, 2000. David Carter. “Ecumenical Dialogue on Mary.” Mari a Journal of Marian Studies, 2:105-120, 2000.